Standing at 7 ft 6 inches, Yao Ming, the former NBA star from China is a rarity with respect to height. Yao Ming is now protecting another increasingly rare population - rhinos and elephants. He is using his fame and big heart to convince his fellow Chinese citizens and the rest of the world to stop purchasing rhino horns and ivory from elephants. Most efforts to stop the killing of these beautiful animals focuses on protecting them from poachers. 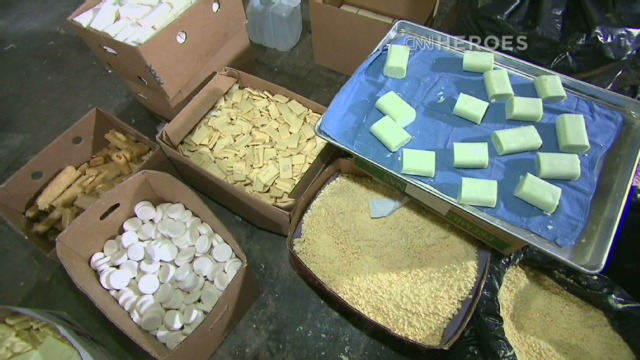 Yao Ming is taking a different approach which attempts to stop the demand of ivory and rhino horns. According to Laura Walubengo of Kenya radio's CapitalFM, "China is the world's most prominent destination for rhino horn and ivory, whith projections suggesting there will be an added 250 million middle class consumers over the next 10 to 15 years". Populations are dwindling -There are only 400,000 elephants and only seven white rhinos are left in the world. With an average size rhino horn earning a poacher an average of $250,000, it seems as if there is not much hope. Fortunately, Yao Ming is helping the conservationists bring worldwide attention to this issue. This attention is needed in his homeland of China, and Yao Ming knows it. This is why he is not only giving wide spread attention through interviews, but he is also creating a documentary about it! 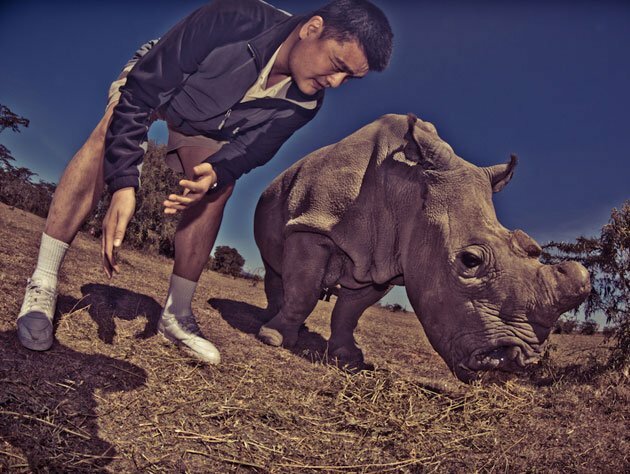 Yao Ming face to face with an endangered rhino. In his blog, Yao Ming jokes: "These are immense and powerful creatures. As one of them pushes me, I’m reminded of the immense pressure I used to feel when I had to guard Shaquille O’Neal. You knew that pressure while guarding Shaq, and you know it when a rhino leans on you." 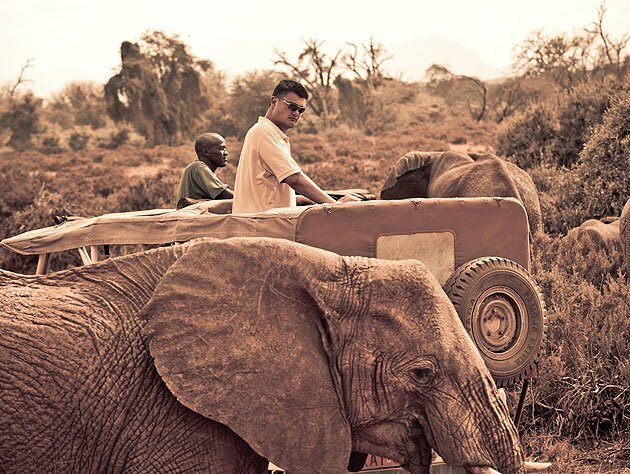 Yao Ming's work will truly help protect the lives of these beautiful animals. Thank you Yao Ming!! Good World News is looking forward to watching your documentary. The world is grateful for everything that you have done! A new monkey has been discovered in the Democratic Republic of Congo. This is the second new monkey species discovered in the past 28 years. Let's be clear on the term "discovery". As with many of these discoveries, the locals have always known about the species. This is the first time that it has been discovered and classified by outside scientists. The scientists are calling it "Cercopithecus Lomamiensis", but the local name, "Lesula", is much easier to pronounce and remember :). John Hart, one of the leading scientists said, "We never expected to find a new species there, but the Lomami basin is a very large block that has had very little exploration by biologists." How was it discovered by the scientists? They were made a routine stop in a village in Opala and saw the monkey on a leash. It was the local school director's pet. "Right away I saw that this was something different. It looked a bit like a monkey from much further east, but the coloring was so different and the range was so different," said John Hart. The scientists hope the discovery will help spark interest in protecting the forests and lands in the area. Ruffins, Ebonne. 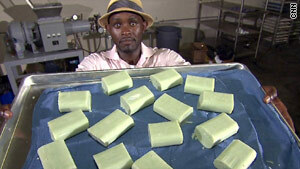 "Recycling hotel soap to save lives" CNN. 16 June 2012. Web.